The City of New Westminster is once again hosting a free outdoor movie series in Queen’s Park Stadium. There’s something truly special about coming with your kids, neighbours and friends to stretch out on a blanket under the stars for a show. Even the mosquitoes can’t get you down. Stadium doors open at 7pm and movies start at dusk (approximately 9pm). Movies are only shown on fair weather days. If you aren’t sure if it’ll be cancelled, you can call 604-527-4634 to ask. For other questions, try 604-515-3775. Movies capture our imaginations, and take us to another world. But, sometimes that world can look strangely familiar, especially living here in New Westminster. A myriad of films and TV series have been filmed here in New West. Smallville, Supernatural, The X-Files, Fringe, and many other TV series have been filmed here. TV star of Perry Mason, and Ironside, Raymond Burr, was born here. It’s a TV town! Over the years, several locations for major Hollywood films around town have doubled for American cities, and small towns too. This is a testament to the diversity of this town of ours, which often plays not only a simple backdrop to the drama, but in some cases is something of a non-speaking character, too. So, here is a selected list of 10 films that have captured New Westminster in celluloid. They have added a dash of the dramatic to life here, and have infused some life into the local economy, too. But, they have also reminded us, in many cases, what a richly varied landscape we can enjoy living here, too. Stephen King’s terrifying and lyrical 1986 novel IT was made into a two-part TV movie and filmed almost exclusively in New Westminster, with our town portraying the sleepy, and very haunted, town of Derry, Maine. In it, seven friends fight a child-killing, shape-shifting entity hailing from outside the universe, since become a permanent resident beneath the town. In a poetic scene, one of the heroes, Bill Denborough (Richard Thomas) brings his wife Audra (Olivia Hussey) out of a catatonic state, suffered as the result of a confrontation with the creature. He does so by taking her on his childhood bicycle, Silver, down a steep hill, bringing her back to life. That hill is 6th Street, starting at Queens Avenue, to Royal avenue, and down onto Carnarvon. The Paramount Theatre and Copp’s Shoes also have cameos in scenes filmed on Columbia Street in downtown New Westminster, with many other New West locations to spot through out. Word on the street is that they’re planning a re-make of IT. No word on whether New Westminster will be reprising the role of Derry. Science fiction pioneer Isaac Asimov’s 1950 volume of short stories I, Robot, in which he invents the three laws of robotics was turned into a high octane, full-on blockbuster action film starring Will Smith. Smith plays a police officer with a serious distrust of robots, assigned to a murder case wherein the prime suspect is – you bet – a robot. Where New Westminster played a sleepy scenic town in IT, here it doubles for a 2035 version of Chicago. That city is known for its raised “el” (short for “elevated”) railway lines that move trains over major streets. Remember the chase scene under the “els” in The Blues Brothers? Fortunately, our Front Street is rather Chicago-like in this respect at least, with the (in)famous raised parkade over the road that is a peach of an imitation for the famed Chicago transit lines. The Old Terminal pub has been the site of many a drink-up and a laugh for myself and friends over the years I’ve lived here. But, who knew that they’d film a movie there for which I’d wait patiently for decades? I read Alan Moore’s dystopian 1987 graphic novel Watchmen in 1989, and spent twenty years coming up with cast lists for the movie version. The world of the novel, and the film, is populated with superheroes, many of whom turn out to be more like anti-heroes, facing no less than the end of the world. An auto repair location was also a New West location, site of Hollis Mason’s shop, the former superhero Nite Owl who serves as mentor to the new Nite Owl, played by Stephen McHattie. Jackie Chan’s unparalleled martial arts prowess is the centerpiece of this action flick, set in the titular Bronx in New York City. But, even as the kicks fly and the punches are thrown, not even Jackie’s superhuman acrobatic and unarmed combat skills could quite hide the celebrated, and much beloved New Westminster view of the mountains! Hiiiiii-YAA! This film was also shot in downtown New West. From horror, to sci-fi, to dystopian superheroes, to kung-fu films, New West has proven itself to have quite the dramatic range. Even the screwball rom-com can be included in our city’s acting portfolio. 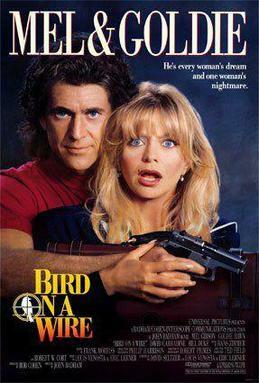 Movie hero, and recent voice-mail message star Mel Gibson, along with the eternally perky Goldie Hawn conducted their fiery on-screen romance amid flying bullets right here in New West. The former BC Penitentiary makes a cameo as the prison from which bad-guy (and former earth wanderer in the Kung-Fu TV series) David Carradine is released. 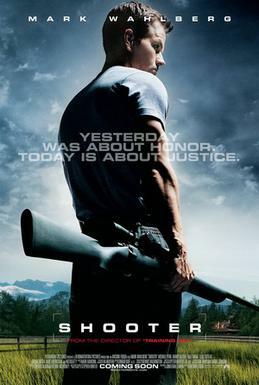 Starring a former underwear model Mark Wahlberg, and complete with a cameo by the world’s coolest singing drummer Levon Helm, New Westminster serves in a key scene when wrongly-accused super-sniper Bob Lee Swagger played by Wahlberg escapes from the authorities who believe that he is an assassin. The chase scene that follows the assassination ending with a car in the river (played by the Fraser) was shot at the bottom of 6th street and New Westminster Quay, along with shots of a tugboat under the Pattullo Bridge . Two-hundred block of 2nd Street in New Westminster was one of the locations featured in the recent Diary Of A Wimpy Kid, based on the series of children’s books by Jeff Kinney. The film chronicles the misadventures of a kid called Greg, his friend Rowley, and their hardships upon entering the jungle that is middle-school. The sequel was also shot here in August to October of last year, with a number of other Lower Mainland locations included in the shooting. Actually, several children’s films have been shot in New West, with The Santa Clause 3 (with Tim Allen and Martin Short), and the Tooth Fairy (starring Dwayne “The Rock” Johnson) being but two. 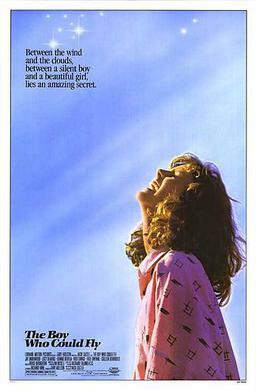 Along with The Wonder Years and The Princess Bride kid actor Fred Savage, New Westminster son Terry David Mulligan appears in this story of an autistic boy who believes that he has the power of flight. The center of the action where heroine Milly and her autistic neighbour Eric explore the ins and outs of gravity defiance are two houses on 5th Street, just south of Sixth avenue. 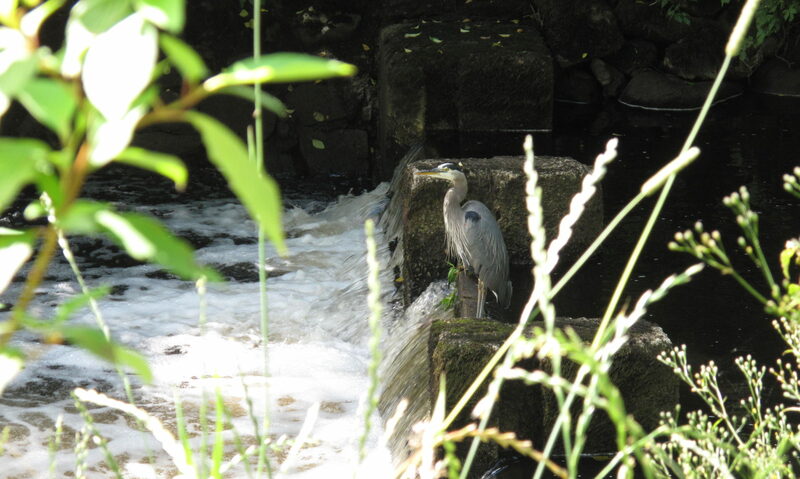 That happens to be a favourite area of mine for walking around, since it’s one of the prettiest areas of our town. There aren’t many movies, not nearly enough in fact, with the word “pants” in the title. But be that as it may, this one, which is about four friends whose lives begin to diverge despite a pledge to stay connected, features our own Columbia Street bridal district in one scene. The movie was shot in multiple Lower Mainland locations, including Coquitlam,White Rock, and Vancouver. Angst-ridden vampires and their unquestioningly devoted human paramours have proven to be liquid gold in book form, so naturally (or supernaturally) the story of Bella and Edward have also been a shoe-in success at the movies, too. Luckily for our city, several locations have served as the basis for all of the gothic, teenaged drama. 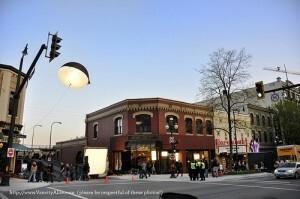 Columbia Street served as a key location for New Moon. The Paramount theatre is transformed into an important locale for the continuing romance of our heroine, and her pale, sparkly suitor. New Westminster can boast number of films and a number of genres in an impressive portfolio. Some are on this list, but many more are not. Some films have been better, more celebrated, and more successful at the box office than others, of course. But, our city has played its part in the creation of new worlds, and in sparking the imaginations of movie-goers all over the world. 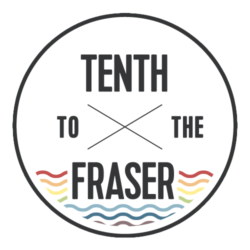 And as is my tradition here on Tenth To The Fraser as resident music geek, here is a list of five songs, this time about, or mentioning, the movies! New Westminster’s long heritage is full of epic tales: the Great Fire, the Queen’s visit, the indignity of having our status as B.C.’s capital revoked, and, of course, who could forget when Bella went on that first date with Jacob at the movie theatre on Columbia St. just before he changed into a werewolf? Yes, New Westminster’s Twi-Hard historians may have a renaissance this spring and summer. When the New Moon DVD is released tomorrow, the Queensborough Wal-Mart will be one of dozens of stores in the chain bracing for a rush of Twilight fans at a special midnight opening. With several key scenes filmed right here in New Westminster, maybe Archie Miller should start a Twi-Hard walking tour to share this most important historical legacy with future generations. The permit fees for this filming were $10,503.15. This value does not include the economic spin off related to Twilight filming in New Westminster (i.e. goods or services purchased while filming or wages paid to staff who reside in the community, and in turn, further stimulate the local economy). On an annual basis filming permit revenues equal between ½ to 1% reduction in property taxes. Again this value does not consider the non-permit economic multiplier effect in hosting filming in New Westminster. A past BC Film Commission study estimated that the economic spin off of filming in New Westminster was $8M and is approximately $1.2B in British Columbia, of which, 96% is spent in Metro Vancouver. Another example of the economic benefits related to filming includes the 2009 Filming of Diary of a Wimpy Kid in New Westminster. Permit fees, location fees and community gifts exceeded $150k plus the associate economic spin off related to the production company purchasing good or services from New Westminster merchants or residents. This feature film, I believe, has just been released and has received positive critical reviews. Seeing our beautiful City on the big screen brings a sense of pride to our community. So even if you aren’t interested in the brouhaha over ‘Team Edward’ vs. ‘Team Jacob’ you can thank Twilight and other New West-filmed shows for offsetting at least a little of our property taxes, and lending a touch of the silver screen’s lustre to the Royal City.